Whether you’ve just bought a brand-new car from a dealer, or a high-quality used vehicle from Ride Time, you always need to think about car repair. There’s only one guarantee in the life of a car – eventually, it’s going to break down, or you’re going to get in a fender bender that requires major repairs. And understanding the basics behind the repair process – and the parts used during a repair – is crucial to restoring your vehicle to a good operating condition, and ensuring that it lasts for years to come. This is why you should understand the difference between OEM (Original Equipment Manufacturer) and aftermarket parts. OEM parts are made by the manufacturer of a vehicle – for example, Toyota would create OEM parts for their Camry, and these would be of the same quality as the original parts. Aftermarket parts, on the other hand, can be made by a huge variety of third-party manufacturers. If you need to get your car repaired, we recommend opting for OEM parts whenever possible – and here’s why. 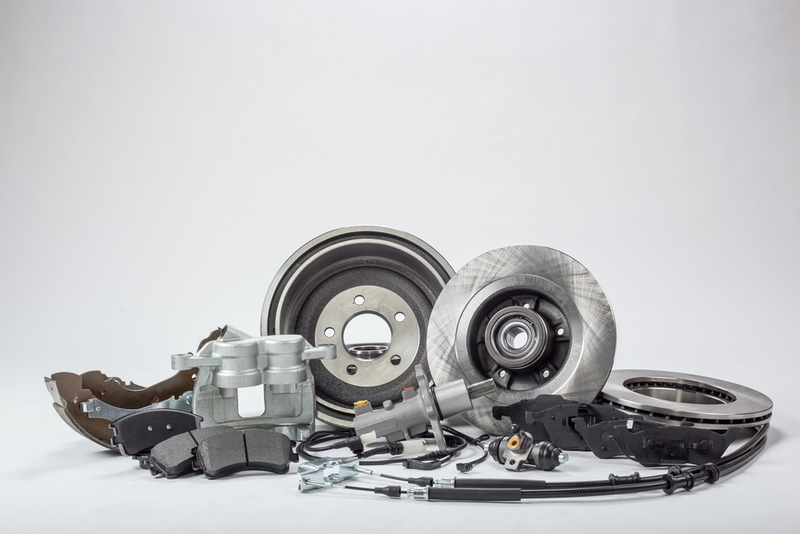 If you own a common car – such as a Honda Civic – there are literally dozens of aftermarket companies offering thousands of different aftermarket parts. While these parts can be less expensive than OEM parts, their quality is inconsistent. Although high-end aftermarket parts may be just as good as OEM parts, cheap parts can fail catastrophically – causing further damage to your vehicle. Unless you understand the aftermarket component market, there’s no way to truly know what kind of quality you’re getting. However, if you choose OEM parts, you’ll always have guaranteed quality. Some cut-rate auto shops don’t even purchase aftermarket parts – they reclaim components from other cars that have been sent to salvage yards, or have been involved in serious car crashes. While this reduces their expenses, it also means that, unless you specify that you want OEM parts, you could end up with a seriously inferior replacement part – which may put you at risk when driving your vehicle. Some higher-end aftermarket parts have a warranty, but this is rather rare. When you install an aftermarket part in your car, you just have to hope that it performs effectively – and if it doesn’t, there may not be anything you can do about it. OEM parts, on the other hand, almost always include a 1-year manufacturer’s warranty, as well as a 1-year labor warranty. This ensures that you get the right part the first time – and that it can be replaced if there’s something wrong. OEM parts are always sourced directly from the manufacturer. Aftermarket parts could be sourced from used cars, junkyards, or third-party suppliers – and there’s no guarantee that they’re new. So while it may take a bit longer to order OEM parts from your mechanic, it’s almost always worth the wait – you’re guaranteed a new, high-quality part that will provide exceptional performance. According to Jack Gillis of the Certified Automotive Parts Association, most aftermarket parts simply aren’t manufactured up to the same performance standards of OEM parts. A study conducted by the CAPA revealed that only around 25% of aftermarket parts can provide the same level of performance as OEM parts. This doesn’t just include mechanical systems either – critical systems such as bumpers and other structural systems could be replaced with sub-par aftermarket parts, which means that your vehicle is less safe. Interested In OEM Repairs? Come To Ride Time Now! At Ride Time, we understand that OEM parts are not always an option. For older vehicles, aftermarket parts may be the only choice, especially if the manufacturer no longer supports the car.But we always pledge to use high-quality parts whenever possible. If your vehicle needs repairs and you need OEM parts, we’re always willing to source and use OEM components. And if you’re interested in aftermarket parts, we have a huge stock of high-quality, CAPA certified replacement parts. Your safety and quality-of-life are our foremost concern at Ride Time. So come in today, and let our service technicians repair your car – and get you back out on the road ASAP!